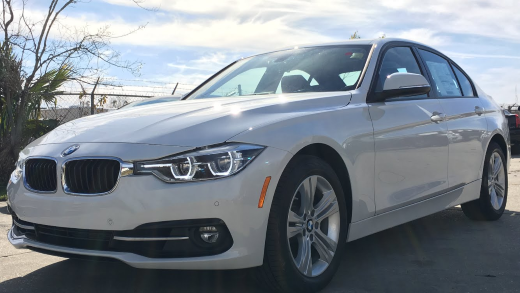 If you are in the market for a premium quality entry level luxury sedan, than the BMW 328i at Budds’ BMW Oakville is for you! Come into our dealership and check out our massive inventory of high quality BMW vehicles that include the BMW 328i! Budds’ BMW Oakville prides itself on being able to provide our customers with a massive inventory of new and pre-owned vehicles and we are very confident that you will be able to find the BMW vehicle of your dreams with us! Continue reading this page to find more information about the BMW 328i at Budds’ BMW Oakville! The BMW 328i has the N20 2.0 L Turbo four cylinder engine. The transmission has been enhanced with the ZF eight-speed automatic transmission. While there is also an option for manual transmission at six speeds. Among the 3 Series of BMW, 328i has a significant track record. Certainly, it has been noted as the quickest of the 3 Series. The braking and handling of the car is lovely. Over the track, BMW 328i stopped at 163 feet from 70 to 0 mph. While when it is driven over the roads, the performance character alters a lot. The chassis shafts and powertrain adjustments make the city ride smoother. There are 4 driving modes in the BMW 328i at Budds’ BMW Oakville: Eco-pro, Comfort, Sport and Sport Plus are the available. It certainly sets the car to be driven with smoothness. The drive modes adjust the chassis, suspension, engine revs and drivetrain as per the driver’s choice and the driving conditions. The BMW 328i at Budds’ BMW Oakville has been lowered to reduce the drag coefficients and provide much space to the performance. The front facelift with the signature LED headlamps improvises the looks. Further, the tail has also been modified. The taillights now got a sharper looking taillight LED package. While the bumpers now look like the ones in the BMW 4 – Series. The elbow line on the 328i has been borrowed from the BMW M – Sport. The interior of BMW 328i is rated among the list of luxurious interiors. The steer wheel, seats, dashboard and screen panes are quite attractive. While the cockpit reception gives an aggressive 3 – Series Sports look. It is similar to the M version of the BMW 3 – Series. And there are the M Performance decals are pasted in the car. The interior consists mainly of chroming and wood trims. Such as the dashboard has a fine wood trims, while the window panels have the chroming. This is just a little bit of information about the BMW 328i at Budds’ BMW Oakville. For more information about this premium quality BMW vehicle, please feel free to continue browsing through our Budds’ BMW Oakville website. Also, check out our blog page for more interesting content! We can be reached at (905)845-3577 or by filling out our contact form.